/Image Related /Other General Questions /How do I share a file or folder using TinyTake? Option 1. 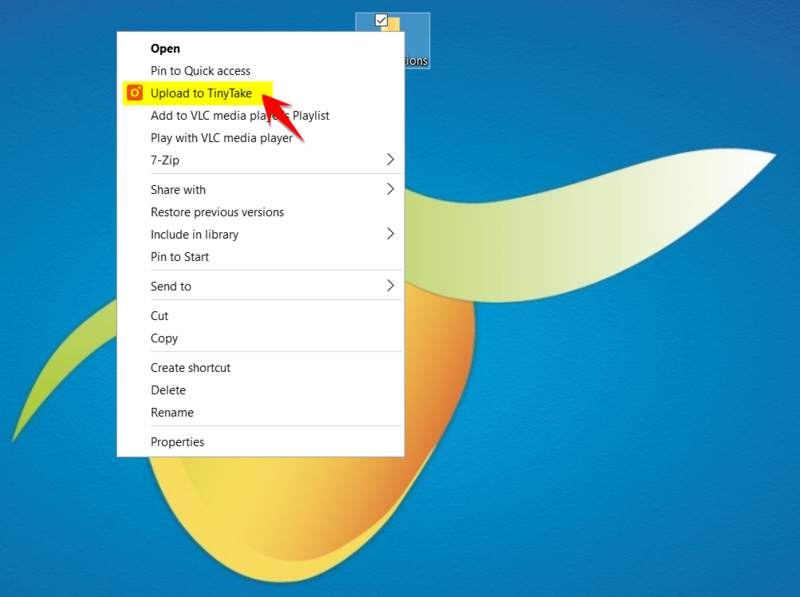 Right click the file or folder from the local drive and click upload to TinyTake. You will be presented with TinyTake dialog showing the progress of the upload, upon completion a link is generated that you can share with anyone. 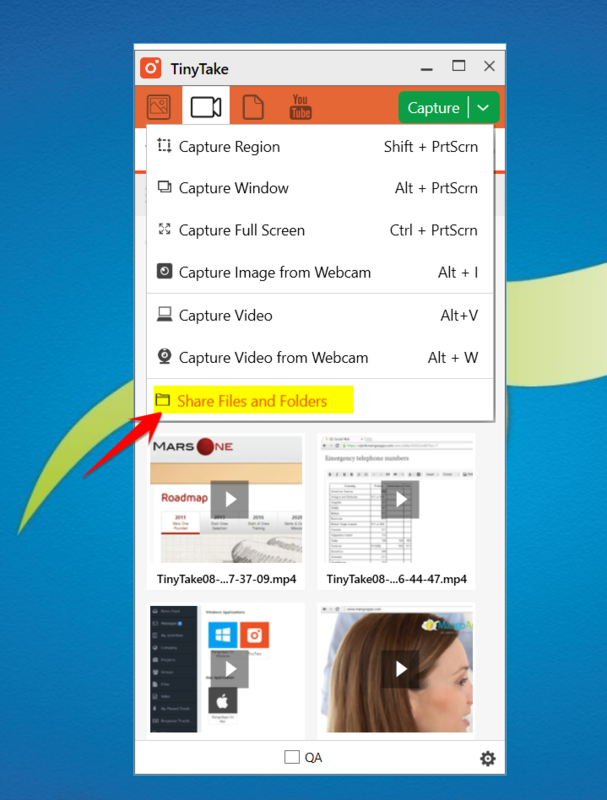 Option 2: Launch TinyTake, then click on the option “Share files & folder” under capture. You will presented with a dialog to drag and drop the files you wish to share with anyone. Upon completion a link is generated that you can share with anyone.